“Alan Newberg is a staid title-company lawyer in the middle of a divorce who escapes to the French Riviera in an effort to reinvent himself. But instead, he catches a case of careful what you ask for when his soon-to-be-ex wife freezes his bank accounts. Without access to money, Newberg gets a job working for a crazy American ex-pat from Texas who owns a questionable vehicle-for-hire business that is at war with a local mob-run cab company. “The narrative opens with the story’s main character – Alan Newberg – a burned-out real estate attorney from Schaumberg, Ill., deciding to chuck it all and, spontaneously, heading to southern France to relax and refocus (isn’t that a shared fantasy of most lawyers?). 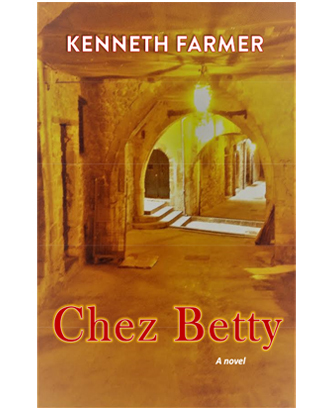 As Newberg arrives in the Mediterranean seaside village of Villefranche-Sur-Mer, the book’s vivid imagery makes the reader feel like he or she is actually strolling through the town’s steep stairways and ancient passages, viewing the quaint shops and pastel-colored apartments, and smelling the aroma of the French pastries baking in the Boulangerie-Patisserie, located across the street from Newberg’s hotel (the Chez Betty).We soon discover that Newberg’s recuperation, unfortunately, will not go as planned. Shortly after coming to town, he is falsely accused of a murder occurring just before his arrival. As the story continues, we also discover that this is not a classic whodunit tale. Rather, we are treated to a story within the story, which, at its heart, is an intriguing and informative comparison of the French and American criminal justice systems. As Newberg works his way through the legal process, from the initial investigation by a member of the local Gendarmerie Nationale, to his appearance before several judges (all responsible for different roles), we view the many differences between the two systems and are subliminally asked to evaluate the relative merits of each. For example, Newberg immediately finds out that the “right to remain silent” is not the rule in France, where failure to speak can be used as “evidence that you are hiding something.” However, as we learn more, the differences do not necessarily lead to the conclusion we might expect – while some features of French criminal justice seem remarkable for their lack of fairness and basic rights, others appear to be vast improvements over comparable procedures in America. By the time the book reaches its dynamic conclusion, the reader is challenged to decide which system provides a more fundamentally sound method of reaching the truth. Could it be that ours is not the be all and end all of jurisprudence, and that we might actually learn something from another country’s methods? Farmer, recently retired from the Dane County District Attorney’s Office, obviously did his homework on the detailed nuances of the French judicial system. Fortunately for us, instead of publishing a dry textbook on the subject, he cleverly cloaks his findings within the pages of an enjoyable novel. The reader doesn’t even notice the valuable civics lesson until it’s too late – and by then is hooked on the story line.